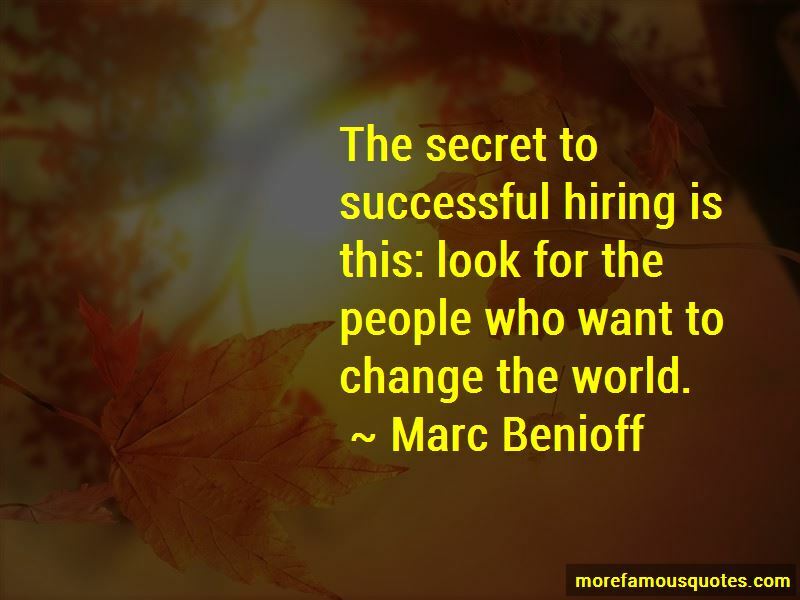 Enjoy the top 47 famous quotes, sayings and quotations by Marc Benioff. In school all I wanted to do was build technology. That's what I loved. If there wasn't any competition, I'd be very worried, because it would mean we were not doing very well. I've seen how important this concept is in business. To be truly successful, companies need to have a corporate mission that is bigger than making a profit. We try to follow that at salesforce.com, where we give 1% of our equity, 1% of our profits, and 1% of our employees' time to the community. By integrating philanthropy into our business model our employees feel that they do much more than just work at our company. By sharing a common and important mission, we are united and focused, and have found a secret weapon that ensures we always win. I'm amazed by the potential of more companies employing integrated philanthropic initiatives at earlier stages in their life cycle. What if this were done on an even more massive scale? Consider what would happen if a top-tier venture-capital firm required the companies in which it invested to place 1% of their equity into a foundation serving the communities in which they do business. The real joy in life comes from giving. It comes from service. It comes from doing things for other people. That is what is so powerful about this. Nothing will make you happier than giving. Philanthropy can be integrated into business. I believe strongly that companies can be incredible agents of good in the world. You need to have a beginner's mind to create bold innovation. 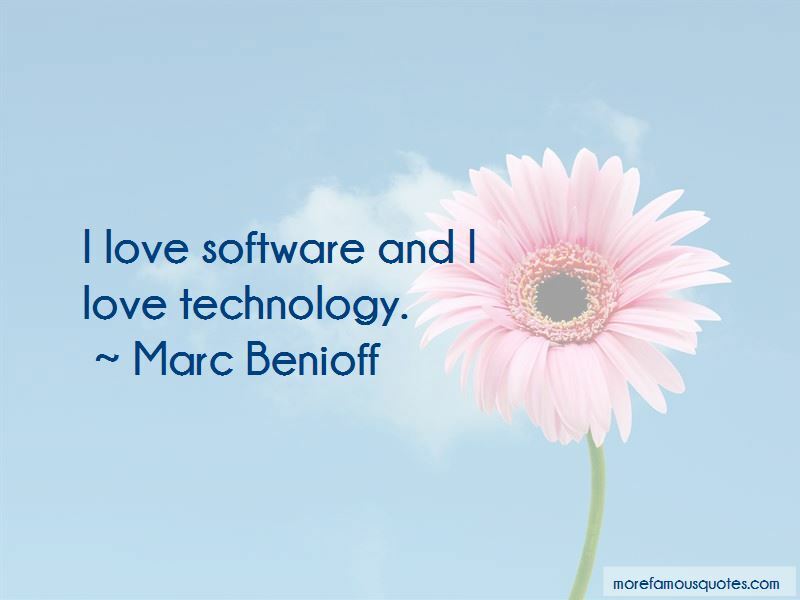 Want to see more pictures of Marc Benioff quotes? 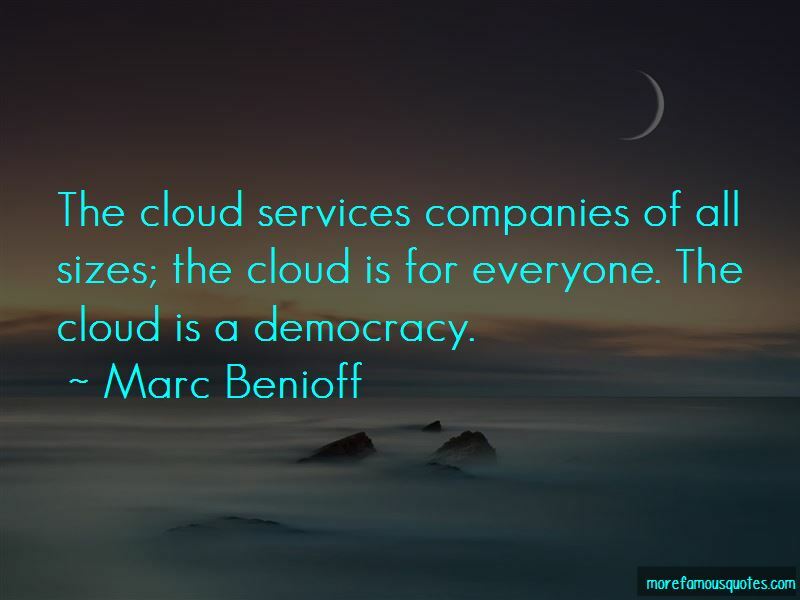 Click on image of Marc Benioff quotes to view full size.